All products are shipped via Fastway Couriers or Mainstream Transport. Delivery should be expected within 7 - 14 working days. We make every attempt to ship your package within 48 hours of receipt of payment, Monday - Friday. We do not ship to PO Boxes. Please make sure that you list a valid street address for delivery. We will make every effort to inform you of any back orders and provide an estimated ship date. Items that are ordered at the same time are not always shipped together due to product availability. In the unlikely event that an item is lost or damaged we will assist in filing an insurance claim with the courier. Our company offers only the finest products available and we make every effort to meet your high standards for quality products, accurate descriptions, reliable shipping and exceptional customer service. If you should experience a problem, question or concern, please contact us immediately. 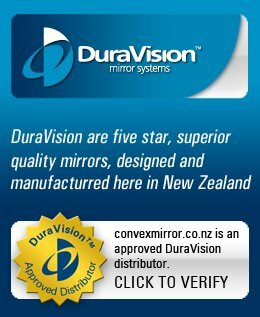 All DuraVision Mirrors are guaranteed for 5 Years from date of dispatch (please see 5 year warranty terms and conditions). We agree, at our option to repair or replace any defective merchandise during the 5 year warranty period. Defective products returned to us in original packaging with all accessories and assembly instructions will be replaced or repaired. Defective products returned to us missing accessories or original packaging will be replaced or repaired as received. The returned item should include a note explaining the problem & the appropriate "return shipping address". Please allow 1-2 weeks for processing. Returns must be sent pre-paid.